Study on Sabah Mufti's proposal | Daily Express Online, Sabah, Malaysia. 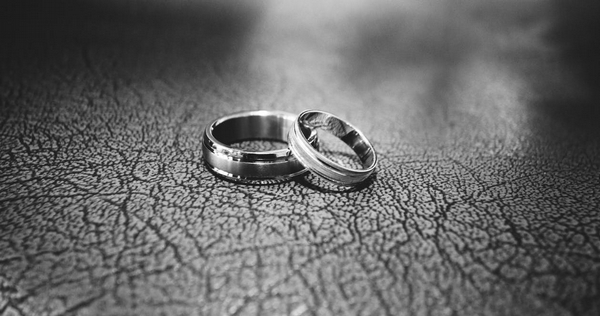 Kota Kinabalu: The State Government will study the suggestion to lower the minimum marriage age by Sabah Mufti Datuk Bongsu Aziz Jaafar. "We will get the views of relevant quarters and refine the matter to enable us to come up with an approach and resolution that will act as a guideline at the State-level before conveying it to the Federal Government," said Chief Minister Datuk Seri Mohd Shafie Apdal. Bongsu had recently suggested that the legal marriage age be lowered to 14 and 16 for girls and boys, respectively, to follow Syariah law. His suggestion contradicts the Federal Government's plan for the minimum marriage age for Muslim men and women to be raised from 16 to 18. Shafie said the proposal should also be studied by other parties who are more knowledgeable in religious matter. "There are things that we need to reflect in-depth. Perhaps the decision made by the Federal Government is based on events where there is coercion. There are certain cases, then perhaps because of the ambiguity that requires adjusting the existing laws. "But from the Islam point of view, it is also necessary to look at the limits that we already know. Thus I will discuss with the Sabah Mufti on this matter," he told a media conference after officiating the national level Pidato Kenegaraan held at UiTM's Dewan Al Bukhary, here, Sunday. Shafie also said it doesn't mean that the State Government is not pushing for it, but that since he is not an expert on such matters, he will first need to get the views of relevant quarters regarding religion, existing laws and how other countries view this. "Having differences in opinions doesn't mean we have to set it aside, we have to hear from all parties before it becomes a bill," he said. Deputy Prime Minister Datuk Seri Dr Wan Azizah Wan Ismail had said recently that the Federal Government is in the process of raising the minimum marriage age to 18. Azizah, who is also Women, Family and Community Development Minister, was quoted as saying that a paper would be prepared by the Malaysian Islamic Development Department and her Ministry to raise the marriage age for Muslims. This, she said, was to consider the best interest of the child. Meanwhile, Parti Islam Se-Malaysia (PAS) Sabah called on all parties to take the views of Islamic law when discussing matters related to the minimum age of marriage. PAS Sabah Commissioner Mohd Aminuddin Aling, in a statement Sunday, said they fully support the Sabah Mufti's proposal. He said PAS Sabah was not happy with the comments and views of leaders and the public on social media that appeared to belittle and ridicule the Sabah Mufti's views. "PAS Sabah considers his (Sabah Mufti) views as one which is based on religious views and knowledge. His views are credible and it should be understood that it is not to tell women to marry at 14 but rather a suggestion should there be such cases where Islamic law must be put into consideration first," he said. Aminuddin said policy makers and the Government should prioritise the views of scholars in deciding such matters, adding that religious views come from God and should come first.